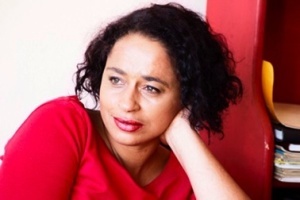 Phillippa Yaa de Villiers draws a portrait of a pink bedroom in suburban South Africa during the seventies, a childhood that has deep secrets buried in it. It's about understanding how apartheid affected on person's life and how she started finding her way out of this particular labyrinth. Original Skin is a journey of identity. “After a number of incidents in my childhood -- when I was expelled from the movies, teased at school and asked personal questions about my origins -- I demanded photographs of my mother, pregnant. Then, when I wanted to see pictures of myself as a newborn, there weren’t any. I rifled through my mother’s papers looking for some official document explaining me. I never found one.